INDIANAPOLIS, IND. 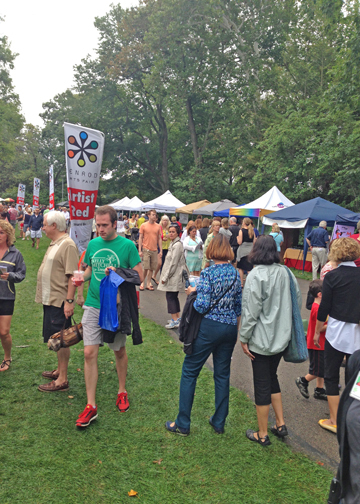 – Denise Ward Designs joined more than 300 juried artists at the annual Penrod Art Fair held on the beautiful grounds of the Indianapolis Museum of Art on September 6. Local artist, Denise Ward, displayed her line of quality handcrafted jewelry among fine artist paintings, artistic carvings, handcrafted sculptures, intricate mosaic creations, woodworks, blown glass art and many other artistic mediums. 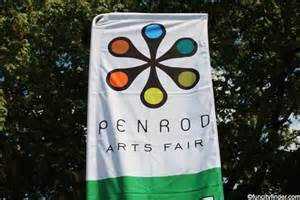 Also known as “Indiana’s Nicest Day”, the Penrod Art Fair is one of the nations largest one-day art fairs bringing together some of the country’s top artistic talent. “My experience was absolutely incredible! The Penrod Society is a wonderful organization and I am very honored to have been chosen to participate in the Art Fair. I want to thank everyone that helped me during this very special day. It was wonderful meeting so many new and interesting people”, said Denise of Denise Ward Designs. In addition, Wendy Pereira of Greenwood, Indiana, was the winner of a drawing that Ward conducted for a beautiful Sterling Silver Swarovski Crystal Bracelet. Denise Ward Designs offers a wide-range of handmade jewelry perfect for any gift giving occasion. 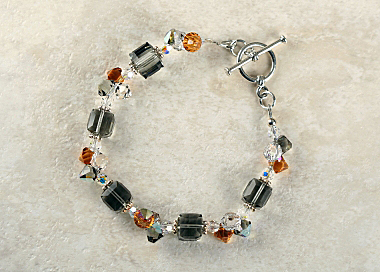 Each unique piece is designed using solid sterling silver or 14K GF, semi-precious stones, borosilicate glass (lampwork) or Swarovski crystal and pearls. For more information about Denise Ward Designs, please visit http://denisewarddesigns.com or denisewarddesigns at Etsy. You can also connect through Facebook.